The Skatar includes free transport – no roadie required. Skate to the gig on it, play it and return home, but just be careful not to step on the strings. For show-offs (and there’s always one) this tripleneck was designed by Steve Vai strictly for those who like to wear their hearts on their sleeves I think. 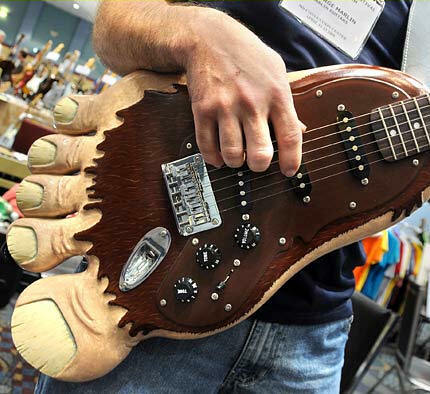 This Sasquatch guitar is bordering on the ridiculous! How could one possibly be taken seriously playing it? 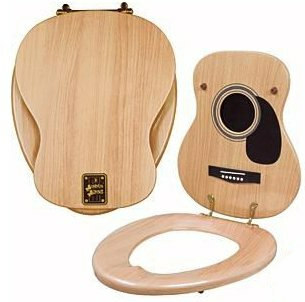 Hendrix would have looked a bit daft setting fire to this – and the smell of those burning plastic split toenails …….. 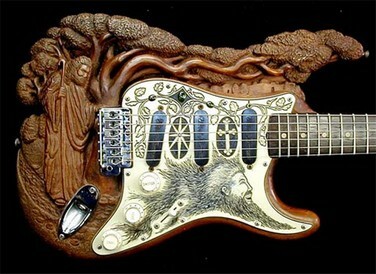 This entry was posted on June 30, 2012 at 2:48 pm and is filed under DESIGN with tags Acoustic music, Fender Stratocaster, Guitar, Jayne County, Steve Vai, wacky designs. You can follow any responses to this entry through the RSS 2.0 feed. You can leave a response, or trackback from your own site. 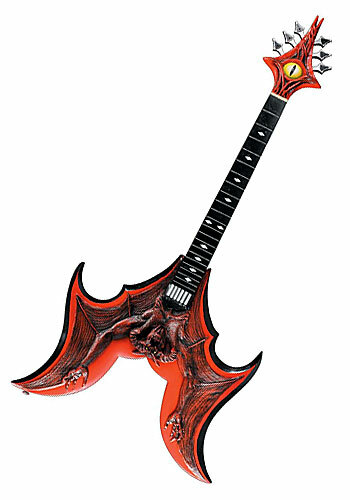 I so enjoy perusing different guitars. 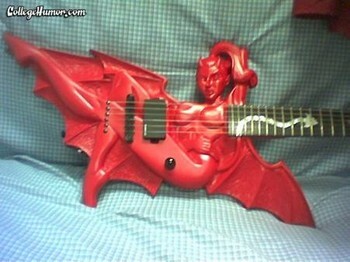 I do play, enough to accompany my horrible singing of my favorite songs. Thank you for these as I had not seen them, Lynda. 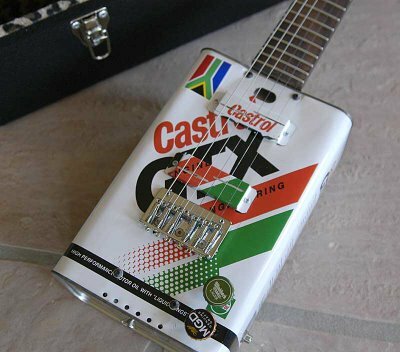 Used to make wall planters out of old wood discarded guitars. This is a great post. 🙂 I’ve been back here several times since you posted it!